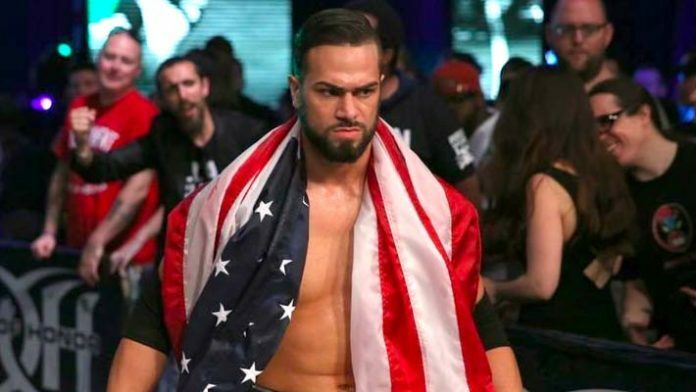 In some unfortunate news, popular independent wrestler and rising ROH star, Flip Gordon, suffered an injury during Sunday night’s Honor Reigns Supreme show. The event went down in Concord, North Carolina. It appears as though Flip Gordon injured his knee after a heavy landing following a running dropkick onto his opponent, Tracy Williams. As soon as he rose from the mat, Gordon began to immediately limp and favor his knee before collapsing to the canvas. He attempted to gut out the rest of the matchup, despite the seriousness of his limping, but ROH referee, Todd Sinclair, would eventually intercede and officially end the match after Gordon rolled to ringside in clear pain. Once Tracy Williams was declared the winner, Gordon would then be helped to the back. Here's the part where the injury to Flip Gordon actually happens. This past July, Gordon signed a two-year deal with Ring of Honor that will see him as a part of the company through to 2020. All of us here at SEScoops hope the injury isn’t serious, and that Flip Gordon can get back to doing what he does best in-ring as soon as possible. We’ll keep you updated as more news on the injury develops.